If you're looking to buy wholesale ice products, you've come to the right place. Party Time Ice has ice in any quanity from the smallest bag to the largest container available for budget-friendly prices. We also offer party planning services that include snow blowing. 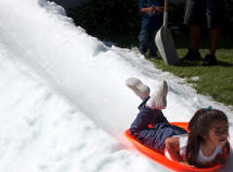 For more than 40 years, we have helped residential and commercial clients in San Pedro and Los Angeles, California, arrange exciting snow events. Let us do the same for you. Our professionals can help you plan a gathering to celebrate any occasion, such as a birthday or anniversary. 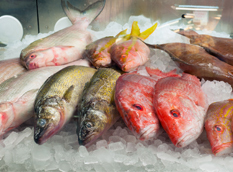 Keep your fish products fresh and cold by using ice purchased from our company. We have bags, blocks, and pallets of regular ice and dry ice available. Bring snow to your area by working with us to organize an amazing holiday event. Our goal is to plan a memorable get-together for you and your guests.